Holiday shopping can be hard when your loved one already has everything they could need or want. For those people, think practical. 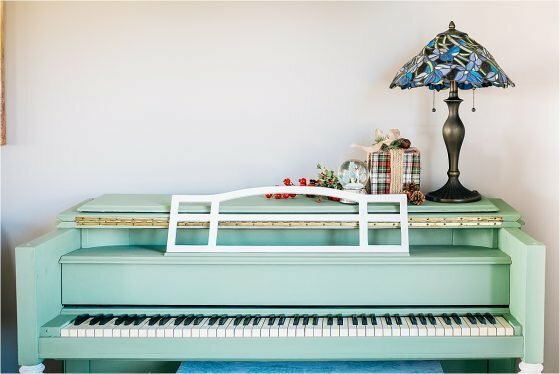 Practical definitely does NOT mean boring however, with these fabulous gift ideas. 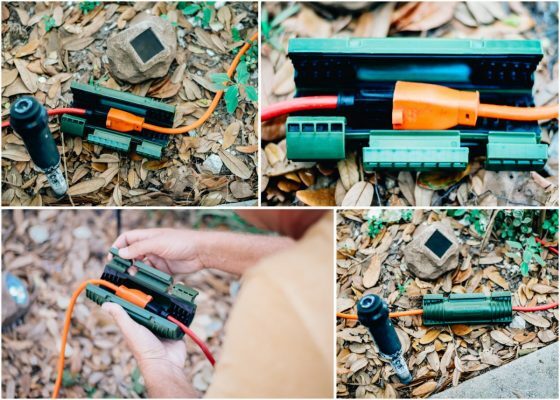 For the practical-minded person who already has it all, this guide is for you! 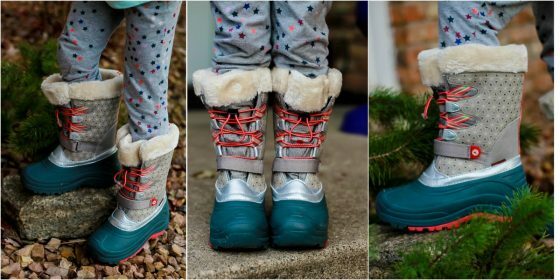 Kids’ Snow Boots by M.A.P. With the push to make classrooms more inclusive, the Jaswig My First StandUp is just what kids need to stay on task. 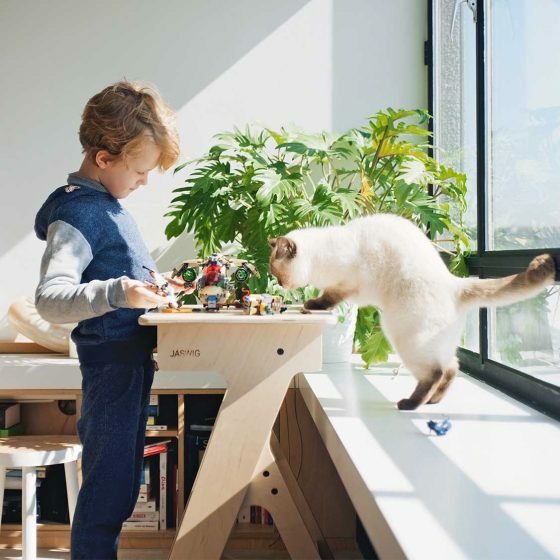 But until classrooms get into the moving movement with children’s developmental needs, you can bring it home with a standing desk that helps your child stay focused while they are doing their homework. 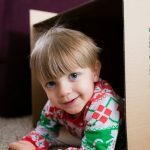 Movement helps children physically, emotionally, and mentally, and the Jaswig My First StandUp helps to promote that by giving your child the opportunity to move while they are focused on their work. 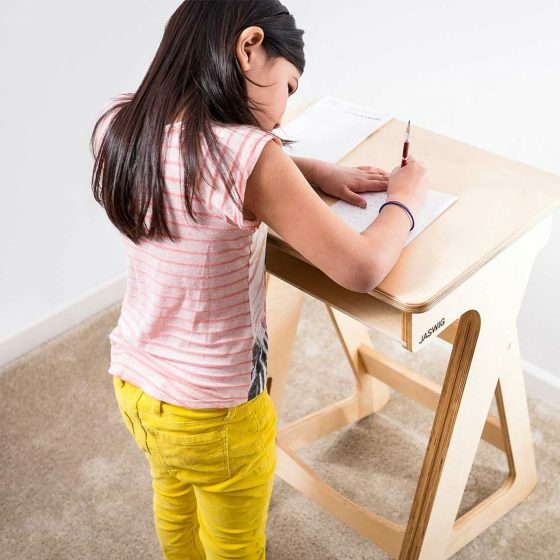 Alternative seating like a standup desk can especially help children who have trouble with focusing in class, too. 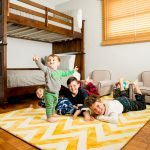 Start your child’s school career off on the right foot by giving them the tools, like the Jaswig My First StandUp, that they need to start healthy habits, including movement throughout a classically sedentary society. 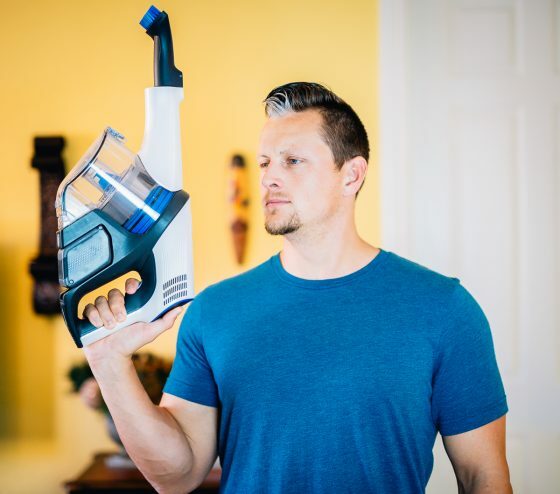 Hoover is a tried and true vacuum company that you know you can trust. 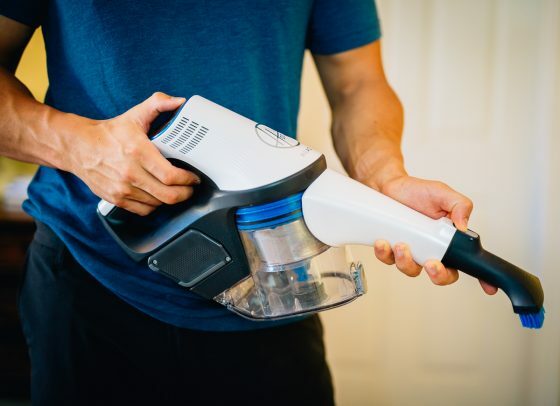 Now Hoover has released an innovative new line of vacuums to help you get your home cleaner than ever. The React line from Hoover is designed with the newest technology to meet the unique needs in your home. 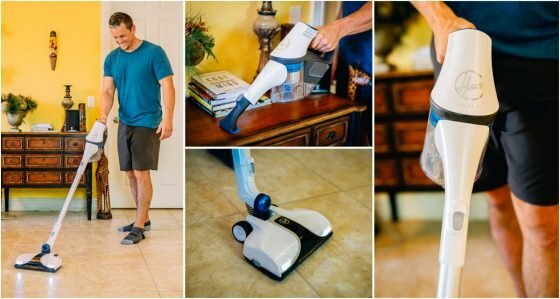 The Hoover React Whole Home Cordless Stick Vacuum is part of this line and it will change the way you vacuum. The power and suction of this vacuum is unparalleled. It is extremely user friendly and features FloorSense™ Technology instinctively detects a change in floor type. That’s right, this vacuum knows when you go from carpet to hard wood, to tile and adjusts to clean each type of floor. 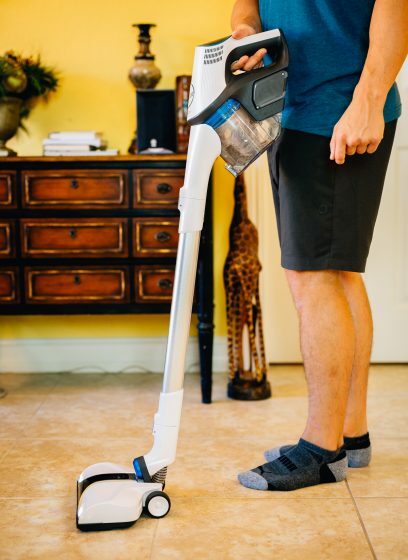 This cordless vacuum is lightweight and easy to move around from room to room. The Wind Tunnel Surge technology means you get all the dust and all the dirt even when it is embedded deep down. 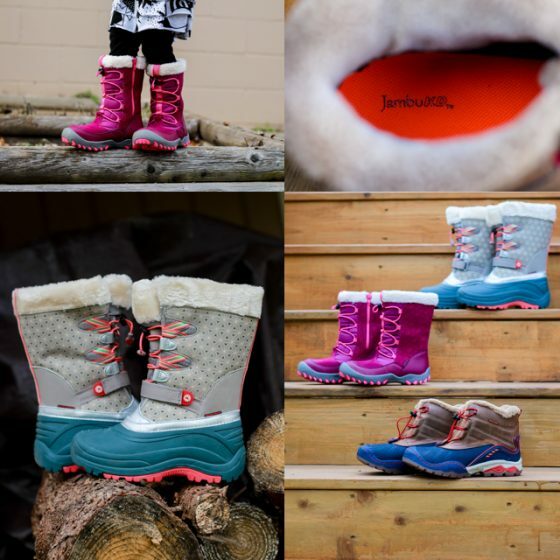 If you are looking for winter footwear that will be both fashionable and favorable this winter season, M.A.P. Shoes is the place to turn. As a company, M.A.P. Shoes believes in motion, adventure, and play. 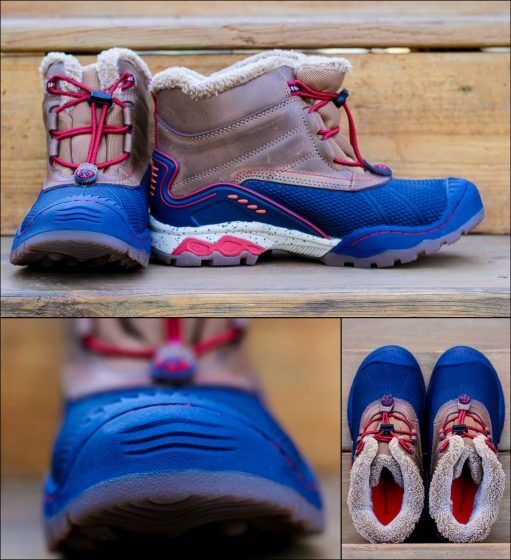 Their shoes are designed to spark imagination AND keep feet cool, dry, and comfortable in the process. 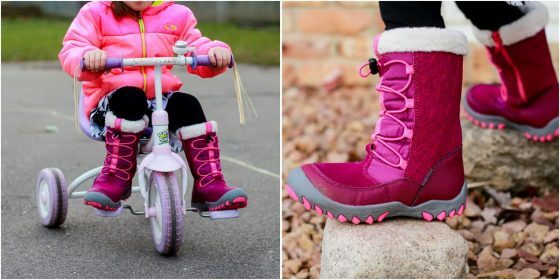 Ranging in size from toddler to kids, these are more than just great looking. 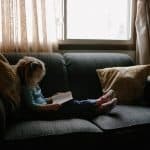 They are safety nets to keep our children safe and warm, and casual enough to let children explore the world at top speed. 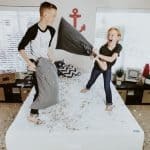 The culture of the company has a strong focus on educating kids about the incredible global explorations that exist, and offers an interactive app to get kids interested in the adventures their new shoes are taking them on. Every area has a specific lighting need, so why not take the opportunity to splurge a bit on this Tiffany Style Table Lamp from Lamps Plus, because it’s beautiful and practical for so many areas in a home. 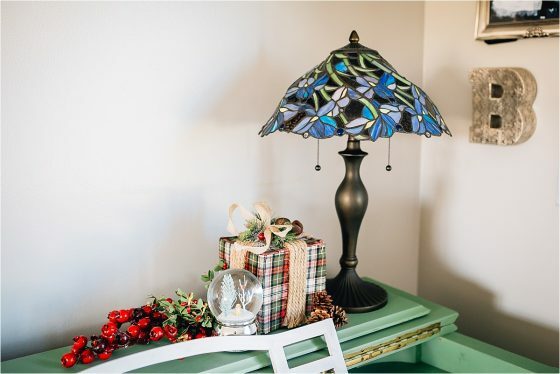 This particular table lamp is from the Robert Louis lamp collection, and has a gorgeous floral pattern that is hand assembled from over 175 individual pieces of stained glass. It also has dozens of different glass textures, such as a rippled accents, to really bring the floral pattern to life, and make the entire table lamp an intricate work of art, in and of itself. The shade is assembled using the traditional copper foil soldering technique. The base is a neutral and coordinating vintage bronze finish, and pairs beautifully with most home decor. It also has twin light pulls, so you can really control the amount of light in the space. Overall: 22 1/4″ high. Base is 8″ wide. Shade is 15 3/4″ wide x 10″ wide. Vintage bronze finish metal base. Looking for a warm, cozy gift for our loved ones this holiday season? 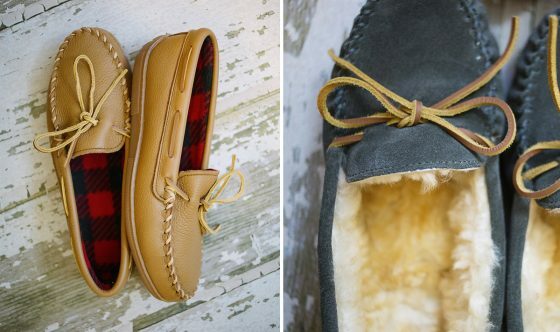 Minnetonka slippers are the answer. 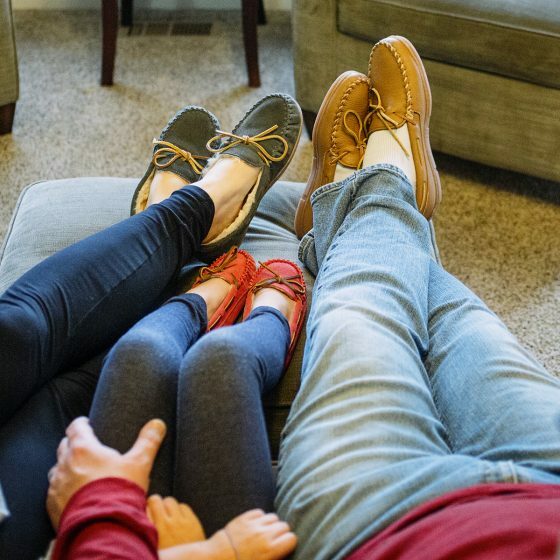 With options for everyone in the family, you’ll definitely find something to please anyone on your list. The Sheepskin Hardsole Moc for Women is a luxurious indoor-outdoor slipper, durable enough to wear outside. The soft sheepskin keeps feet warm and dry. The Men’s Moosehide fleece slipper combines soft fleece and genuine moosehide for the utmost comfort. 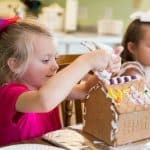 And don’t forget about the kids! With lush lining and stylish stitching, the Cassie slipper will make any little girl giddy on Christmas morning. 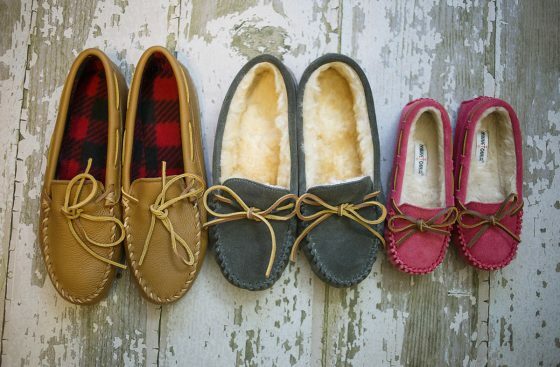 Minnetonka slippers are handmade and constructed to be well worn. No two pair are the same! 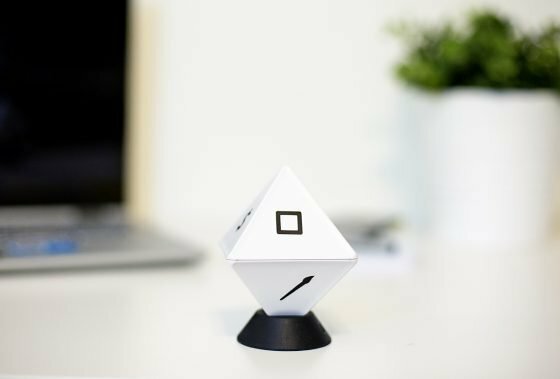 Zei is a game-changer when it comes to productivity and workflow. 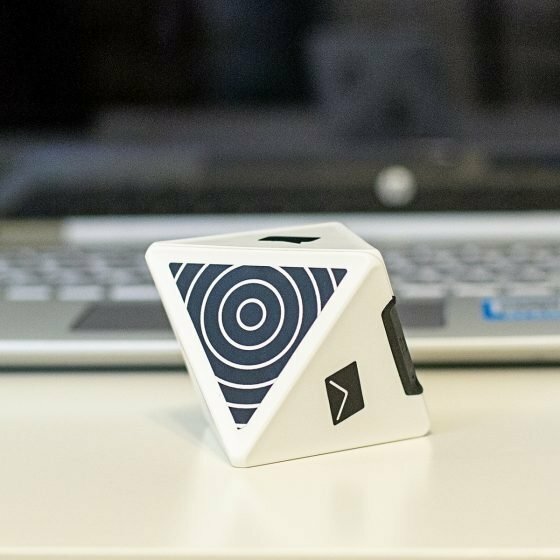 This device allows anyone needing to track their time to do so easily and quickly! It’s the perfect gift for any entrepreneur or professional. 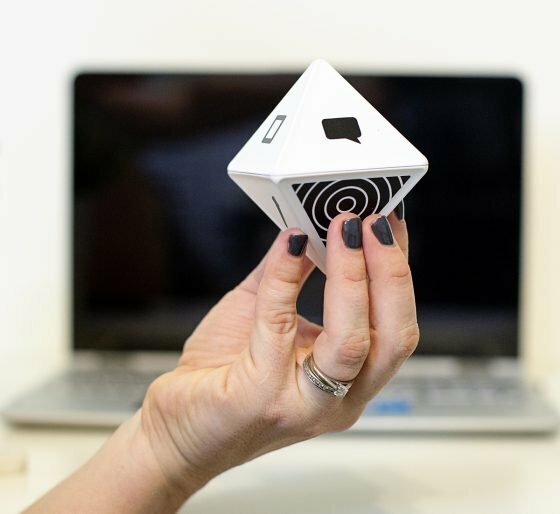 Zei is an 8-sided device that connects via Bluetooth to your phone or computer. Using The Timeular software, you can assign up to 8 projects or tasks. Just place Zei so the corresponding project is facing up and the software will automatically start tracking the time. If you change tasks, just flip the device and the software will start tracking the new task. 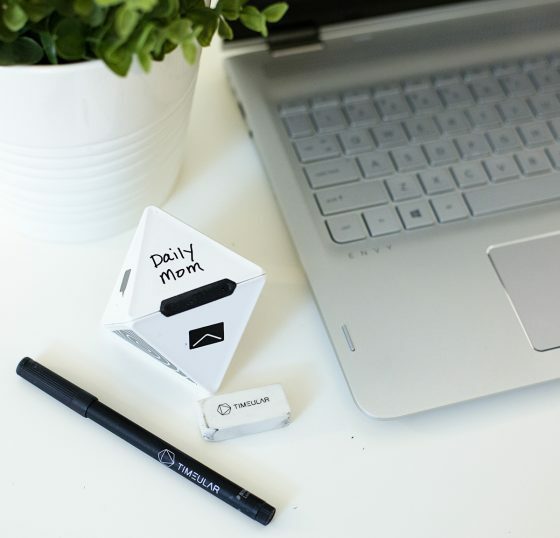 The device can be customized using the included stickers, or the included pen and eraser. 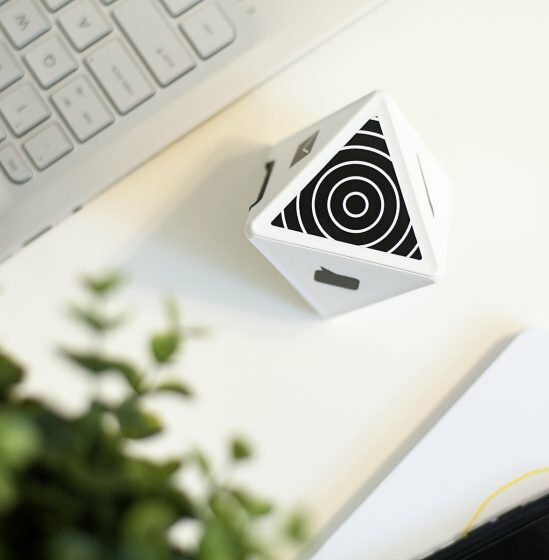 A practical gift with an innovative and intriguing design, the Beddi Glow Intelligent Alarm Clock with Wake Up Light is the perfect gift for the lover of gadgets and gizmos this holiday. 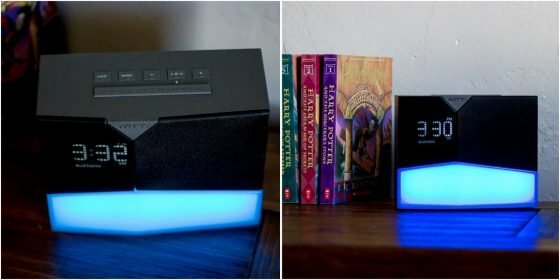 For anyone who loves smart home integration, customizable products, and useful technology, the Beddi Glow will be a huge hit. 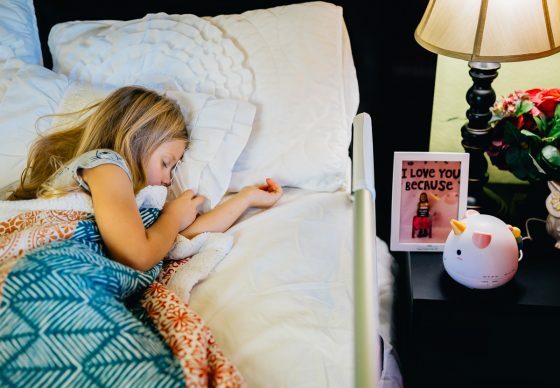 Whether selecting the Beddi Glow for anyone from your spouse to your child, there is bound to be excitement over all the neat features this compact alarm clock offers. With Bluetooth capability set the time, the alarms and control all additional features of the Beddi Glow straight from your phone. Wake up naturally with sunrise stimulated light every morning. Sleep peacefully and deep with an integrated white noise generator. Four alarms with customizable snooze button settings allow you to awake to your favorite music, traffic or weather updates. With multiple, rear-access USB ports charge both your smartphone and tablet while you sleep. High quality bluetooth speaker to play all your favorite music or FM radio. 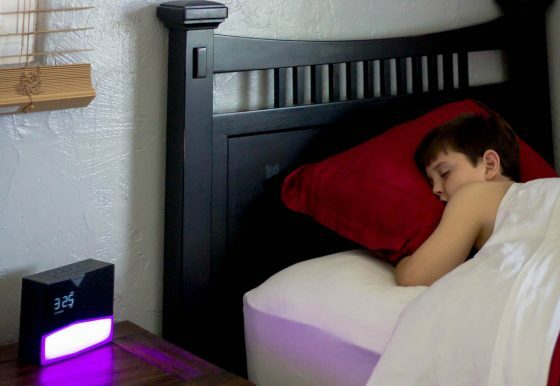 16 million color, programable mood lighting with timer allows you to set a nightlight or sleep in total darkness. 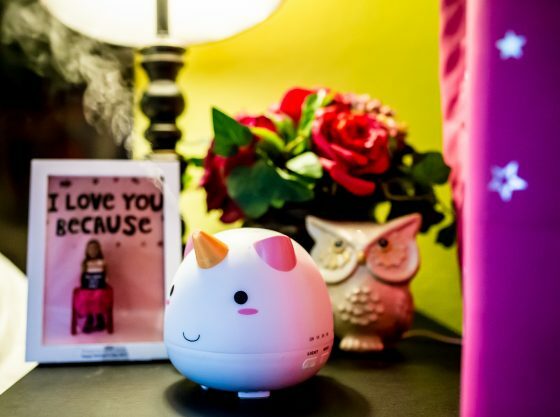 Give a unicorn gift this holiday season that is actually practical and useful in your home. 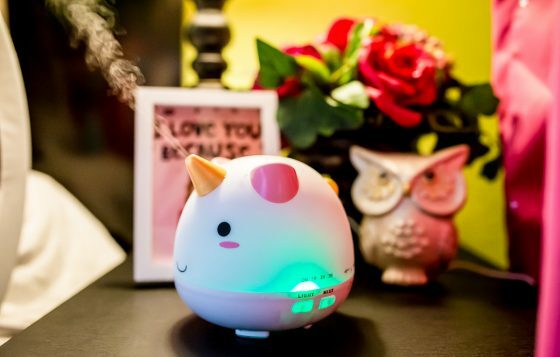 Skip the stuffed animal and put this Elodie Unicorn Diffuser from Smoko under the tree. 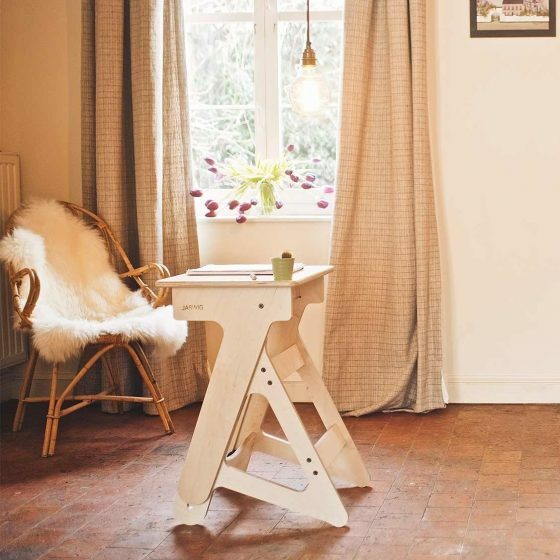 This unicorn does more than just look whimsical in your child’s room. It diffuses essential oils and adds healthy moisture to the air. Elodie’s horn is where the diffused oils come out and into the room. 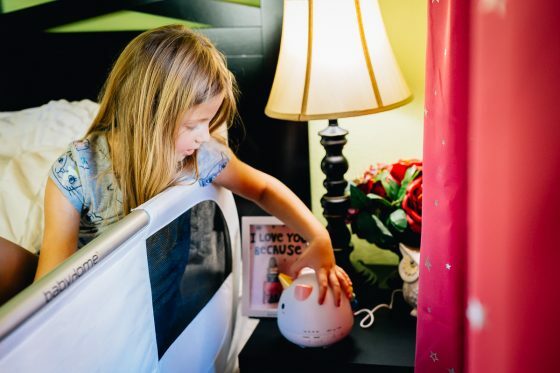 Your child will love the way the diffuser looks in her room and you will love that she is benefitting from aromatherapy. Put in your favorite oils based on the needs that day. Add a blend to help with sleep, immunity, or concentration. Adorable design with a rainbow mane, pink ears, and a golden horn. Make safety a priority this holiday season by protecting both the exterior and interior of your home when decorating with holiday lights. Whether the holiday season brings rain or snow your way, your electrical cord connections will be protected from the elements with Twist and Seal. 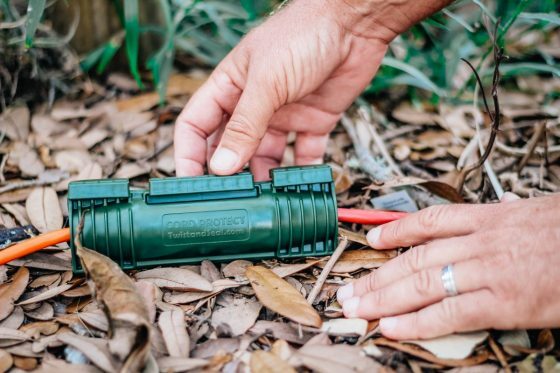 The safety pack keeps water from getting into the plugs of your Christmas lights by encasing them in heavy duty commercial grade plastic. Your home and your family will be safe from electrical hazards and tripped outlets. 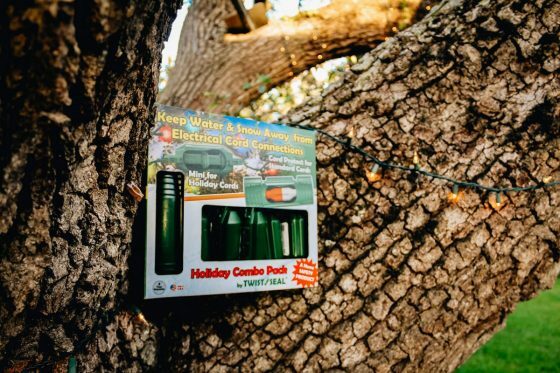 The Holiday Combo Pack is the way to go with 5 Twist and Seal minis from your holiday lights and an extra bonus of a Twist and Seal Cord Protect for your extension cord. 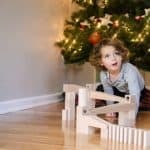 The design is ideal for indoor use as well especially if you have a small child or animal that loves playing with the plugs. 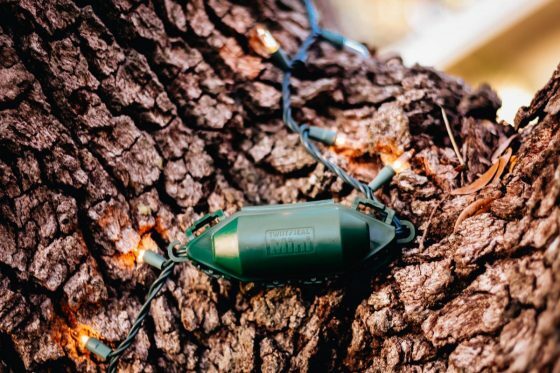 Attach one of these to your Christmas tree lights to prevent your kids from unplugging your tree lights. 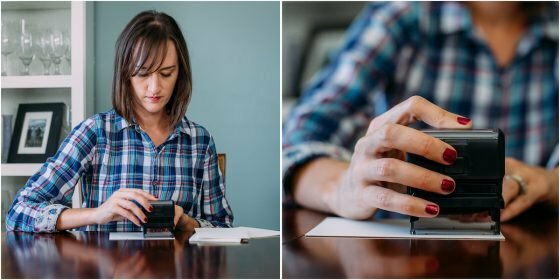 Studies show that our smartphones are dirtier than a toilet seat– but there’s a solution to that! Phone Soap 2.0 uses dual UV-C lamps to produce a very specific wavelength of light to kill disease-causing bacteria. 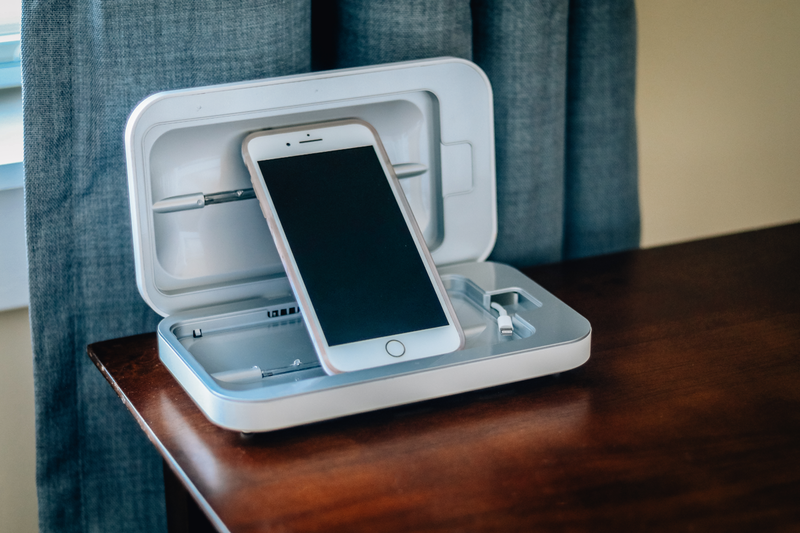 After a 5 minute sanitization cycle, you can feel confident knowing that your phone is completely germ free. PhoneSoap 2.0 even kills “SuperBugs” that have developed resistance to the chemicals and antibiotics that used to be effective. You can also conveniently charge your phone overnight while using the universal charging port for any iPhone or Android device. Do you know someone who is constantly searching for their phone, wallet, or keys? Chipolo has the perfect solution. 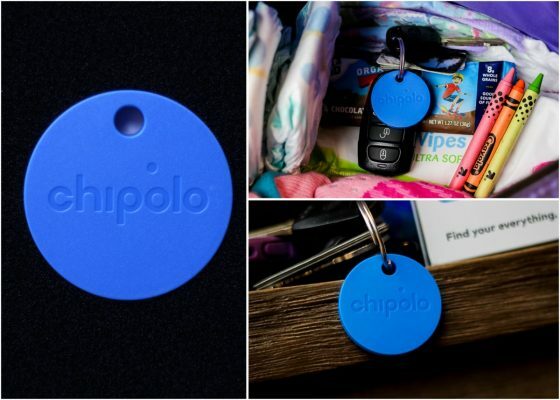 With varying designs to fit all of your precious possessions, Chipolo is known for helping to find your anything. 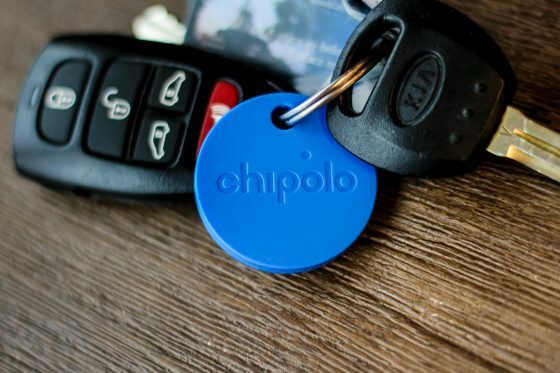 After the Chipolo (chip or card) is attached to the item of your choosing, simply connect it to your phone and boom! No more missing keys. No more missing wallet. No more missing phone. That’s right, once connected, you have the option of using your Chipolo to locate your phone. Even if your phone is on silent. 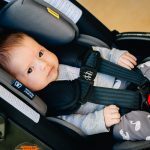 In addition to keys, it can also work with backpacks, diaper bags, favorite toys, purses, pets, instruments, or camera bags. 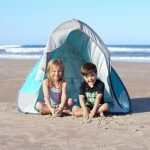 The Chipolo would make a great gift for parents, spouses, grandparents, friends, siblings, or even teachers. 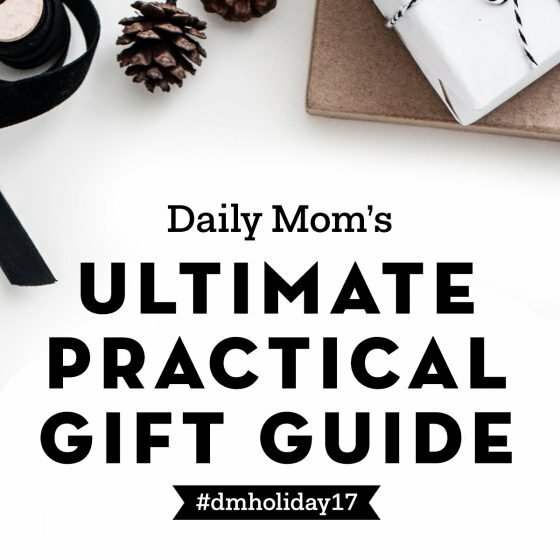 It is the ultimate gift for the practical person in your life. 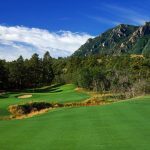 Mailing a card or letter is a lost art but it shouldn’t be. Make mail great again with a custom address stamp from Less Ordinary Designs. These stamps are a thoughtful gift, perfect for a stocking stuffer, teacher gift, or pick one up for yourself to use when addressing your holiday cards this year. The size of this stamp is approximately 1 x 2.5 inches. The self inking option keeps things simple and neat. You can also order this design in as a wood block stamp allowing you to choose different inks for different mailings. 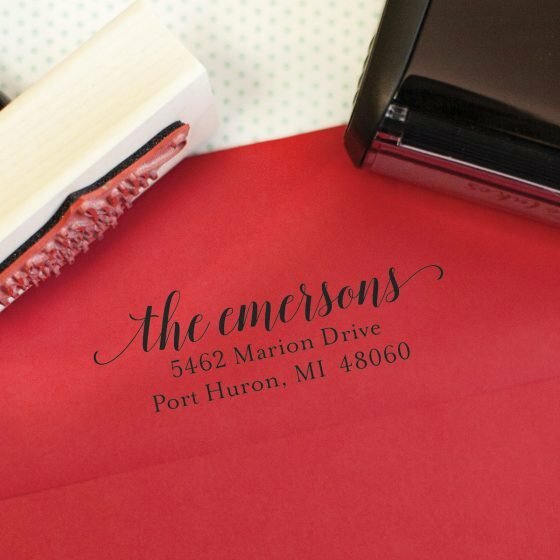 This is the Emerson Address Stamp, which is a perfect mix of classic and modern. Less Ordinary Designs works with you to get the design of you desire. 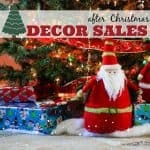 If you haven’t picked out your holiday card for the year, Less Ordinary Designs has some gorgeous Christmas Card options that can be customized for you as well.